St. Cuthbert Mayne Church, Launceston | Launceston Then! 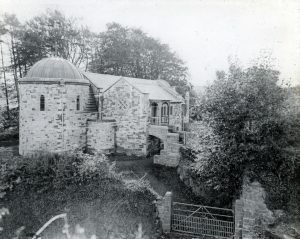 St. Cuthbert Mayne Church c.1950. 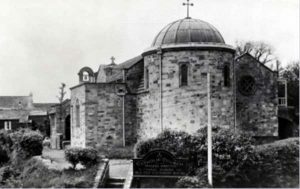 The Roman Catholic Church on St. Stephens Hill, was built in 1911 to a Byzantian style . 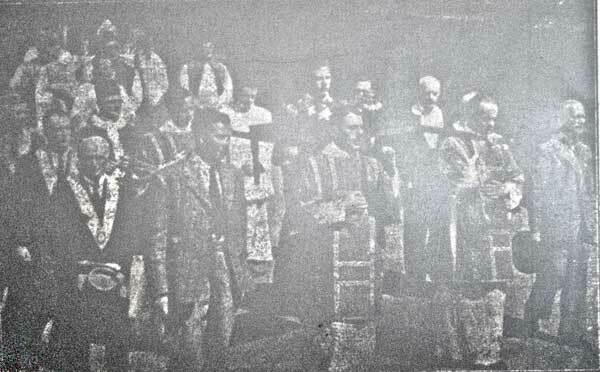 The pontifical high mass was celebrated by the Right Reverend John Kelly, Bishop of Plymouth. 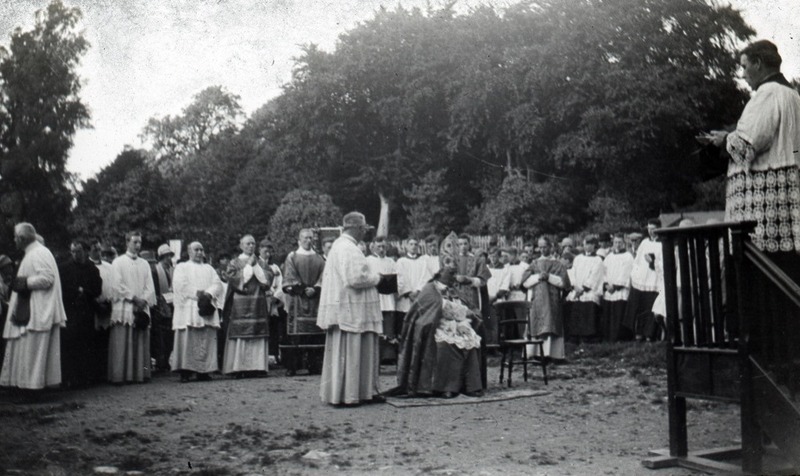 The celebration of the opening of the new Catholic Church on November 29th 1912. 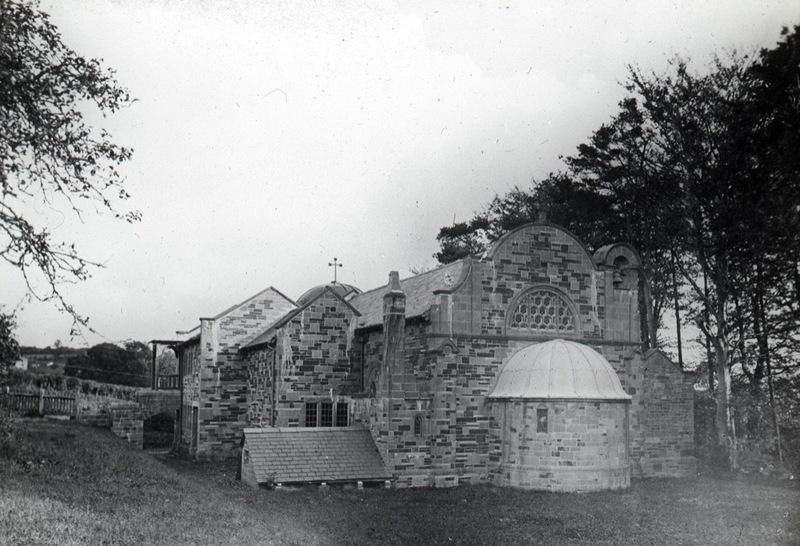 The church dedication was changed to St. Cuthbert Mayne on Easter Sunday 1977, and quite fittingly, the Church contains the national shrine of the Blessed Cuthbert Mayne. 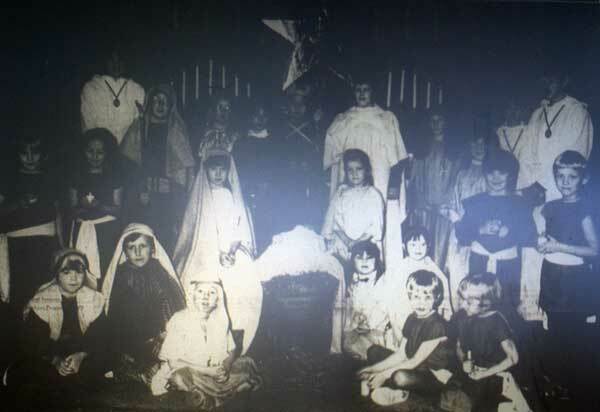 A familiar site for many years, was the cross that lit up across the valley and up to the town from the presbytery of the church. During the second world war it was taken down and re-sited near the entrance of the church. 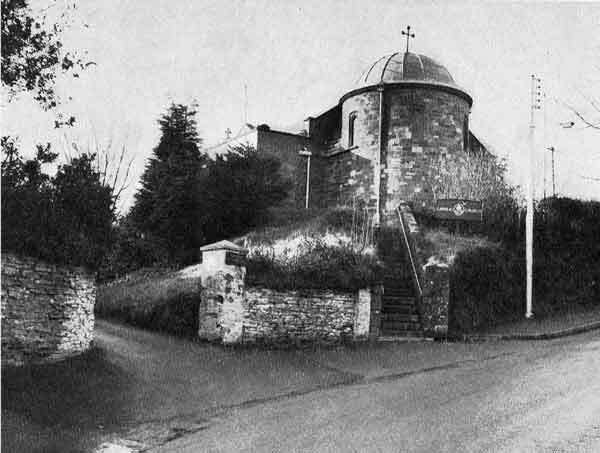 Eventually it was put back to its former position, were it continued to post its position to the town until a severe storm left the cross quite literally hanging by a thread and it had to be removed for safety. 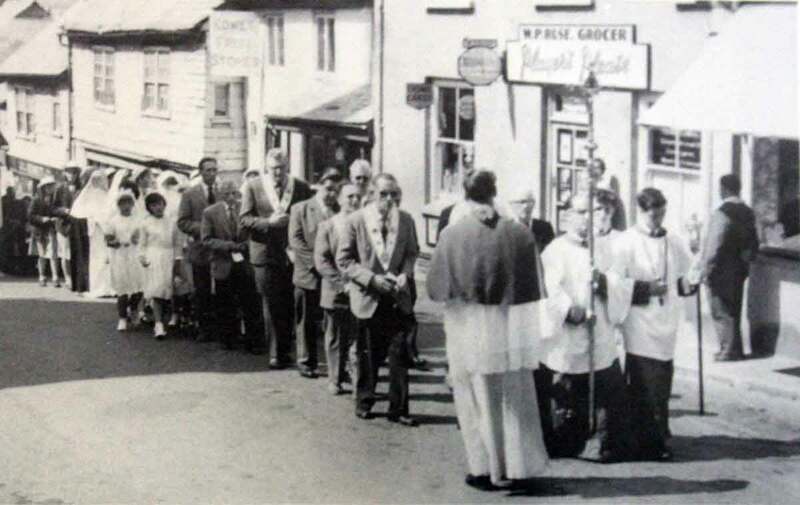 It was a former priest, Father Peter Webb who pioneered a replacement, and with the Catholic Women’s Guild providing the funds a new cross was blessed by Father Matthew McGauran in July 1984. 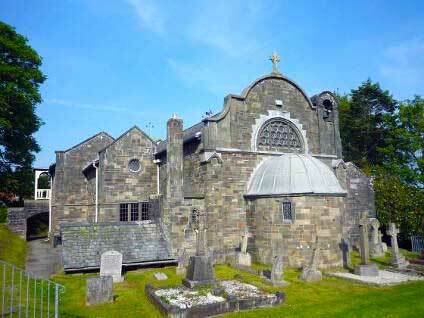 Sadly the landmark no longer shines and has lain in darkness for many years. 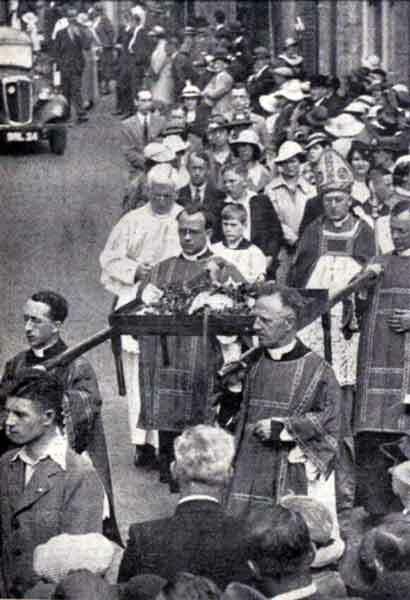 In 1921 Father R. A. McElroy instituted a pilgrimage to honour St. Cuthbert Mayne whereby his skull was skull was paraded through the town to the Castle. 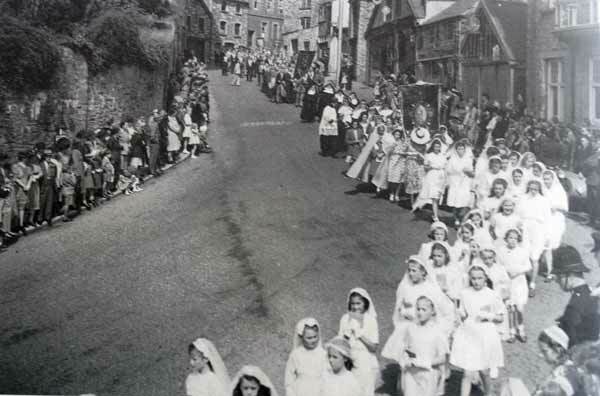 This became an annual event which at one time attracted thousand’s to Launceston (below in 1922 and 1932 respectively). 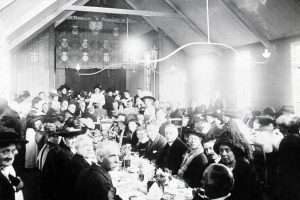 In latter years the events popularity waned and today is no longer held (More images at the bottom of this page). Above three images of St. Cuthbert Mayne Church shortly after its construction in 1911. 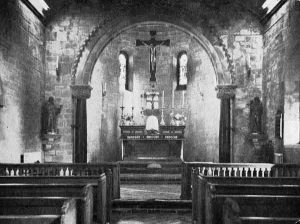 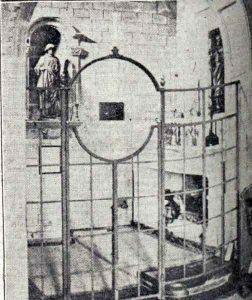 The Shrine to St. Cuthbert Mayne in 1924. 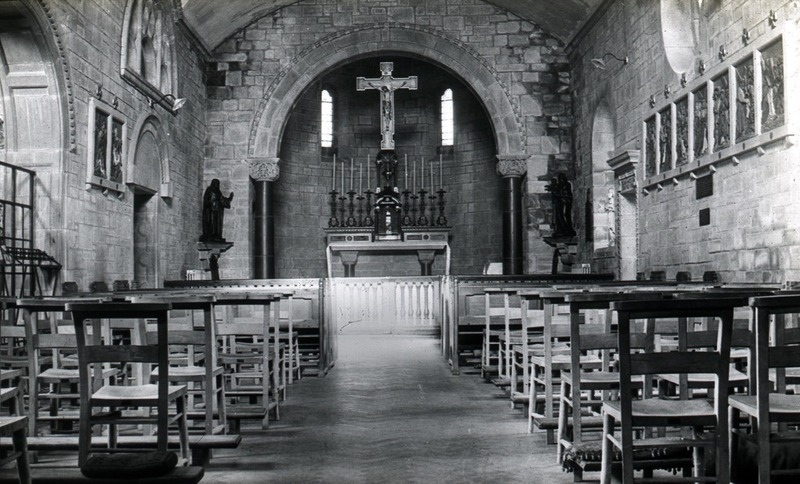 Above two images of St. Cuthbert Mayne Church from the 1930’s. St. Cuthbert Mayne Church in 2015. St. Cuthbert Mayne pilgrimage procession gallery. 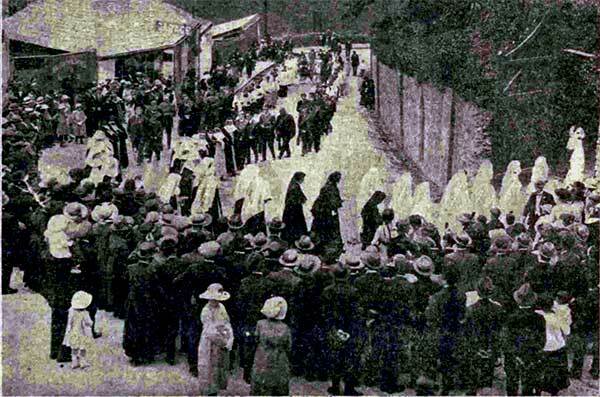 St. Cuthbert Mayne pilgrimage procession coming up St. Thomas Road in 1921. 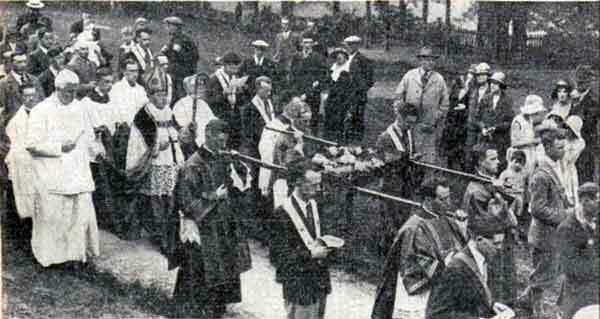 St. Cuthbert Mayne pilgrimage procession on the Castle Green in 1921. St. Cuthbert Mayne pilgrimage procession in 1925 coming up St. Thomas Road. 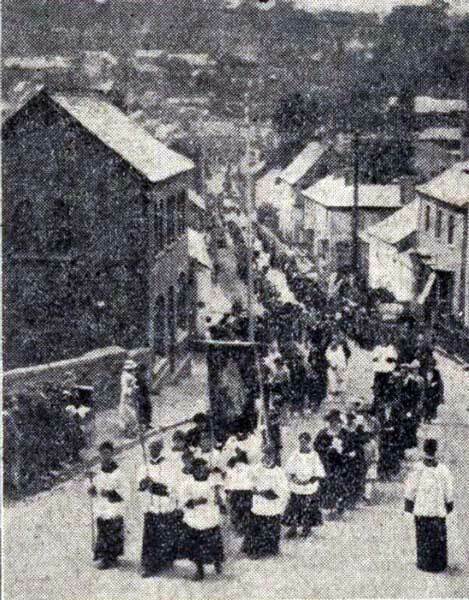 St. Cuthbert Mayne pilgrimage procession coming down Western road. 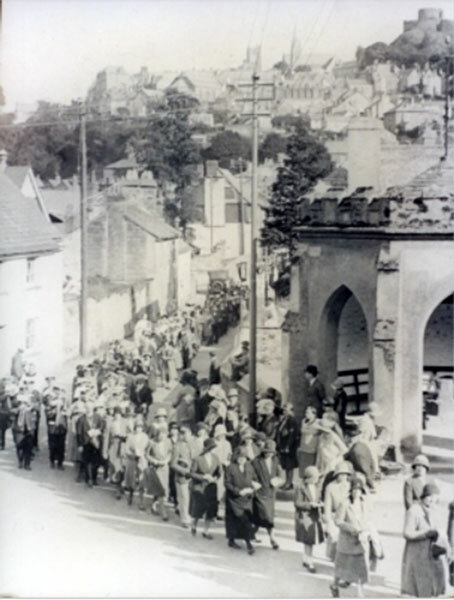 St. Cuthbert Mayne pilgrimage procession winds its way around by the Newport Market House during the 1930's. 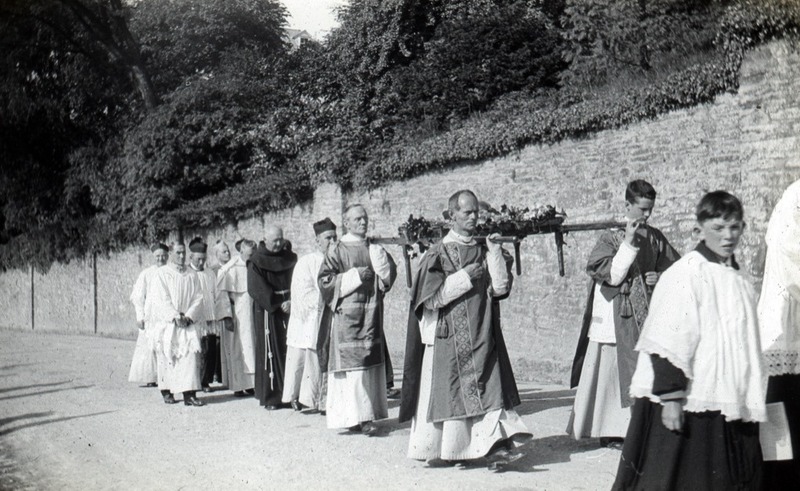 St. Cuthbert Mayne pilgrimage procession in June 1936 being led by the Bishop of Plymouth. St. Cuthbert Mayne pilgrimage procession in 1949. 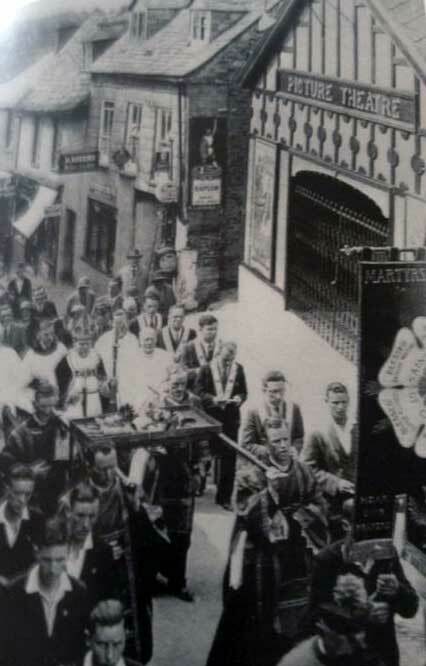 St. Cuthbert Mayne pilgrimage procession coming up Northgate Street. 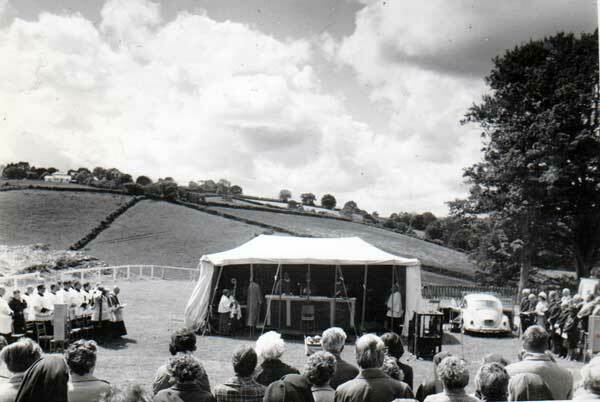 St. Cuthbert Mayne pilgrimage on the Castle Green in the 1970's.